Meghalay, as the name suggests, is the land of clouds. The state is the home for highest rainfall belt comprising Chirapunji. The state shares its borders with Assam and Bangladesh. Shillong is the capital city. It is a state that is adorned by green hills all over and is thus, districts of the state are divided on the basis of hill regions. So, you see Khasi Hills district, Jaintia Hills district etc. The state is a rich source of coal, limestone, dolomite and quartz. Timber, bamboo, reed, cane, lemon-grass, thatch grass and medicinal herbs are grown all across. The state experiences highest rainfall in the country. Khasi culture is one of the indigenous cultures of the region. The community follows matrilineal kinship tradition. Khasi is one of the spoken languages of Meghalaya. 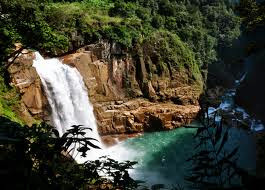 Let us explore tourist destination in Meghalaya. Destinations are divided according to the hill districts in which they are situated. Exotic landscape, waterfalls and caves are the main attractions in the state. You would be interested to visit deep rock caves wading through waterways! Meghalaya houses such ones. Shillong is the most popular city located in the Khasi Region. The capital city is the gateway to enter Meghalaya. You can visit the city all through the year. It is a well connected to Assam. 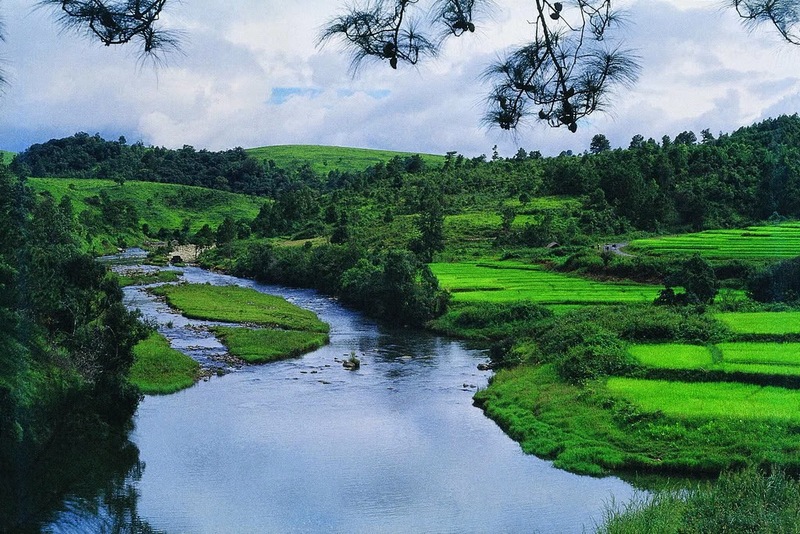 Shillong is a hill resort comprising waterfalls, green valleys, river brooks and gardens. The city entertains wide range of guests. It would be an ideal place to hold business conferences. This region is the home for heavy rainfall areas including Cherrapunji. Smit, Mawaphlang, Sohra (Cherrapunjee), Laitkynsew, Mawsynram, Nongkhum Island, Ranikor river valley and Mawlynnong Villages to experience exotic landscape. This is located towards the border of Bangladesh. Dawki, is the gateway to enter Bangladesh. It is a border city where lots of border crossing activities go on. It is a route for international trade between India and Bangladesh. The Umngot River is the natural boundary between the two countries. Tyrshi Falls, Lalong Park, Krang Suri Falls, Umlawan Cave (this is considered to be the deepest and the longest cave in the sub-continent), Thadlaskein lake -these are some important sites to visit. There is a small airport in Shillong about 35 km from the city. It is called Umroi Airport. Flights to Kolkata are available. Best way is to reach via Guwahati, which is just 2-3 hours journey by road. Helicopter service is available from Guwahati to Tura and Tura to shilling. You would get bamboo artifacts. Buy Naga and Manipuri shawls that you get in Meghalaya. You would get Manipuri wrap-around skirts and lungis too. Khasi Scrub, a natural handmade scrub you would get on the streets.